We’ve brought you a couple of Cleetus McFarland’s less-serious videos in the past, which generally involve some kind of pseudo-scientific chassis dyno hijinks. However, McFarland isn’t just about automotive lightheartedness – he has put together some truly interesting projects. Just look at his record breaking, seven-second, twin-turbocharged, skeletonized, stick-shift Chevrolet Corvette, LeRoy which McFarland currently holds several records with. Not one for anything remotely resembling subtle, McFarland purchased a street-legal NASCAR truck at the beginning of the year. Due to its livery (all black, with the iconic “3” on the door) it was immediately dubbed the “Dale Truck”. A few months into owning it, McFarland decided the carbureted LS1 that he bought the truck with had to go. After having so much success with the Texas Speed and Performance-built twin-turbo 427 in Leroy, it was only natural that McFarland went back to them to put together a high-revving naturally-aspirated EFI LS7 for his “street truck.” With the goal of versatile power, and being able to perform both on the street and some track use, he and Texas Speed and Performance set about putting together a kickass LS that would run pump gas on the street, perform well under a variety of race conditions. A new GM Gen 4 core serves as the basis for this engine project. 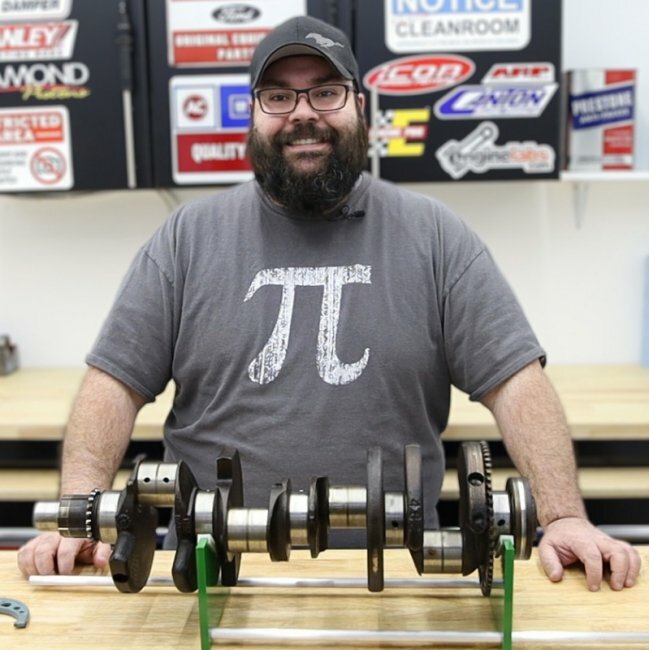 Texas Speed and Performance immediately upgraded the block with new ductile iron dry sleeves from Darton, and overbuilt the rotating assembly, expecting that, much like his other projects, McFarland will exceed the original goals for the engine sooner, rather than later. 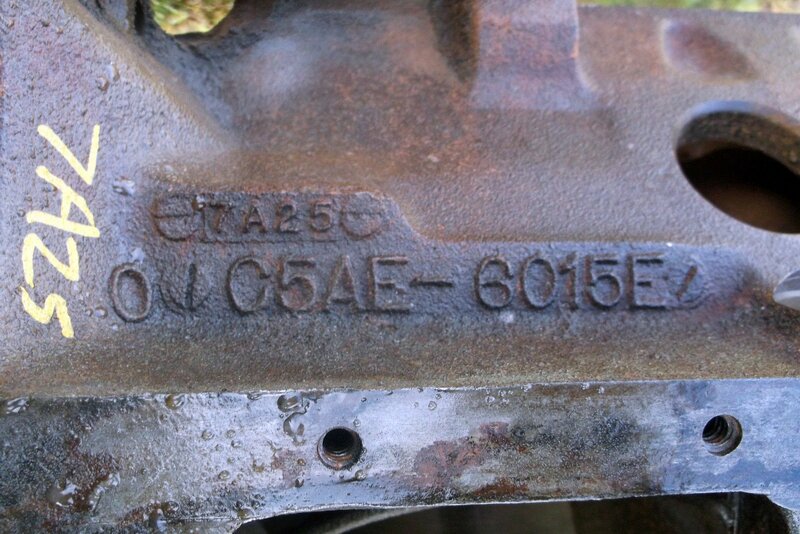 The foundation of any engine project is the engine block, and even though this build isn’t intended to be extreme right off the bat, there was consideration given to futureproofing. To that end, Texas Speed used one of their Gen 4 resleeved aluminum LS blocks as the basis for the engine. 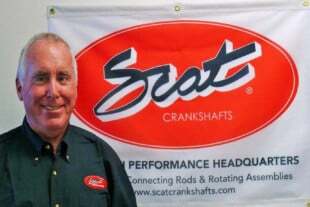 From there, they added one of their TSP 4.00-inch-stroke forged 4340 crankshafts. Using a 2.100-inch rod journal, the TSP crank has a six-bolt rear flange and a standard snout for a wet-sump oiling system. From there, They added a set of 6.125-inch TSP Super I-Beam 4340-steel connecting rods, with ARP2000 rod bolts installed. Attached to the rods are a set of 4.125-inch CP-Carillo pistons. Forged from 2618 aluminum, they feature a 4 cc dish for an 11.3:1 compression ratio. A 1.5mmm/1.5mm/3.0mm ring pack with a CP steel top and Napier second ring. A Melling standard-volume, high-pressure LS oil pump was used, since the engine will see north of 7,000 rpm. Because of the chassis the engine will be going in, a Holley retrofit cast aluminum oil pan was utilized. For the timing set, OEM GM gears were utilized with an IWIS C7R single-roller timing chain. Since the McFarland wanted the engine to turn some decent RPM, choosing heads that flow was a key part of the component selection. 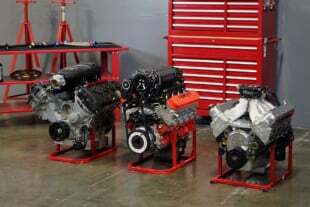 Precision Race Components 285cc LS7 heads were chosen to top off the 427 cubic-inch shortblock. The large 285cc CNC-ported intake ports flow 407 cfm at .700 inches of valve lift, and the exhaust ports flow 246 cfm at the same lift. Featuring large 2.24-inch titanium intake valves, and 1.61-inch hollow-stem stainless steel exhaust valves to keep things as light as possible, TSP used PAC Racing dual valve springs keep the valves under control, with 155 pounds of seat pressure and 436 pounds of open pressure. A Texas Speed LS7 Stage 4.2 camshaft was chosen to be the brain of the engine. Designed specifically for LS7 applications, the TSP Stage 4.2 cam offers .657-inch of lift on the intake, and .655-inch of lift on the exhaust. Duration comes in a 248 degrees intake, and 260 degrees exhaust, with a 111-degree lobe separation angle. The Precision Race Components 285cc LS7 head flow some serious air. Between the fully CNC’d ports and combustion chambers, and the large valves, they easily flow more than 50 cfm over OEM LS7 cylinder heads. 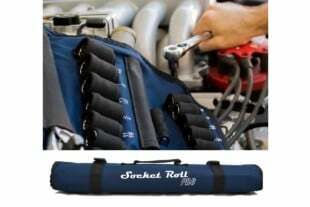 with the lightweight valves, and dual PAC valvesprings, not only will it rev to 7,500 rpm, it can do so safely and reliably under a multitude of conditions. 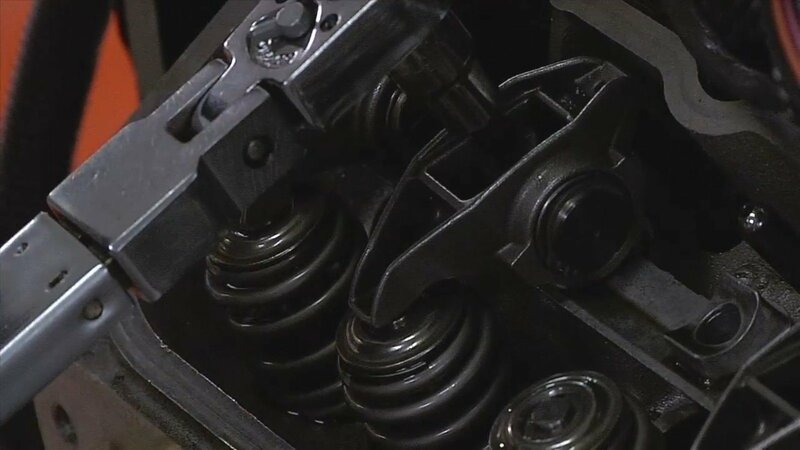 Factory LS7 hydraulic roller lifters translate motion from the camshaft to the Texas Speed chromoly 3/8 diameter, 7.750-inch long pushrods. OEM LS7 rocker arms, with a TSP trunnion upgrade round out the valvetrain, and are good to more than 7,500 rpm. Topping off the combination is a popular “big boy” LS7 intake manifold, the Competition Induction Designs BE 4.5 single-plane intake. Built with a dominator flange, this version is a one-piece intake aimed at the big-power LS market. 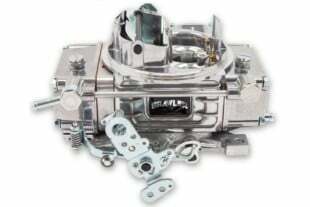 Sitting atop the opening is a Holley 2,000 cfm four-barrel throttle body. Complimenting that are a set of Holley 120 lb/hr fuel injectors controlled by a Holley Dominator EFI system. Holley Twin 450 liter-per-hour fuel pumps in a drop-in hat provide all the 93 octane go-juice the engine needs, while MSD ignition coils keep the candles lit throughout the RPM range. When put on the dyno, the engine produced a respectable 679 horsepower at 7,300 rpm, and 562 foot-pounds of torque at 5,300 rpm, which was a significant increase over the traditional composite intake manifold the engine was first run with. While 679 horsepower may seem rather mundane when compared to Leroy’s engine, Doelling doubts it’ll stay there for long, and intentionally overbuilt the engine, given McFarland’s past history. With there already being talk of a nitrous kit and spraying the engine into the four-digit horsepower range, we have no doubt that we’ll be bringing you an update on this pump-gas engine’s progress sooner rather than later. With the CID BE4.5 intake manifold and Holley 2,000-cfm Dominator-flange throttle body in place, the engine picked up considerable power over the traditional LS7-style intake manifold and throttle body combination. While the CID intake may seem like overkill on a sub-700 horsepower engine, there’s already talk of significantly increasing the power numbers through chemical aspiration.